The lacrimal system forms a very crucial and integral part of the ocular anatomy. The ocular structure is comprised of various sub- structures. For the overall health of the ocular system lacrimal system needs to function properly. But sometimes due to blockage in the lacrimal system, problems begin to happen in our eyes. Problems of the lacrimal system may lead to drying of the eyes which causes burning and itching, excessive watering of the eyes and infection in the lacrimal gland. The surgery that is performed on the lacrimal system for treating various disorders is known as Dacryocystorhinostomy (DCR). Dacryocystorhinostomy is a sub- specialty of ophthalmic surgery. Earlier in India, Dacryocystorhinostomy was performed by ophthalmic doctors. But, today in India Dacryocystorhinostomy is performed by the best oculoplastic surgeons. Dacryocystorhinostomy is not a very complicated surgery and it does not require the patient to be hospitalized for many days. With the help of Dacryocystorhinostomy any blockage of the nasal tube and the tear sac can be cleared. To understand the need for a Dacryocystorhinostomy better, it is best to first understand the functioning of the lacrimal system. With the help of lacrimal pump the tears move into the nose. If the tears get accumulated into the lacrimal sac, they are pushed into the nasolacrimal duct. Any blockage in this entire mechanism causes excessive watering of the eyes. Most cases of the obstruction in the nasolacrimal duct are acquired Dacryocystorhinostomy while some cases could be congenital also. The best treatment for this condition is a surgery which is known as Dacryocystorhinostomy. A DCR should be done by not just any doctor but a qualified surgeon. A general physician/ doctor cannot be the correct choice for a DCR. Before choosing a doctor for your DCR, here are some basic facts about Dacryocystorhinostomy that you should know. A special type of Dacryocystorhinostomy known as the conjunctivoDacryocystorhinostomy is performed by doctors in cases where the lacrimal system cannot be treated hence it is bypassed and near tear outlet is created from the corner of the eyes by surgery. In the external Dacryocystorhinostomy the incision is made by the doctors on the face. In an endoscopic DCR no incisions are made and two probes are inserted into the nose. Both types of DCR have the same goal and that is to clear the passage of the tear drain by bypassing the nasolacrimal duct and making passage for tears from nose to the lacrimal duct by surgery. Today in India an endoscopic DCR is a more popular surgery as compared to external Dacryocystorhinostomy. In an endoscopic DCR there are no scars on the face of the patient. As the doctor does not make any incision for an endoscopic DCR the patients can heal much faster. Also, a patient feels less pain in an endoscopic DCR as compared to an external Dacryocystorhinostomy. Acquired or congenital nasolacrimal duct obstruction which causes persistent watering of the eyes. Nasolacrimal duct obstruction which causes infection in the lacrimal sac. Inflammatory disorders which could lead to problems in nasolacrimal duct can also be treated by an endoscopic DCR. Endoscopic DCR surgery is now a common approach taken by doctors towards the surgery of the nasolacrimal duct obstruction. The reasons for the growing popularity of endoscopic DCR in India are many. An endoscopic DCR surgery is the best choice for patients who are young and visible incisions is not a desired outcome. The pain after an endoscopic DCR surgery is also very minimal. After an endoscopic DCR surgery, a doctor prescribes antibiotics to the patients. Sometime, to ensure that the blockage does not occur again, a doctor may place a tube inside the nose after the endoscopic DCR. The scope of endoscopic DCR surgery is now very wide. Therefore, in India this surgery is now done by the best hospitals and the top doctors who are specialized for the same. If an endoscopic DCR surgery is performed by the best oculoplastic surgeon then the side effects or risk associated with an endoscopic DCR are practically nil. An endoscopic DCR surgery can provide permanent and best solution for the problem of tearing. The outcome of an endoscopic DCR surgery or any other surgery depends upon the proficiency of the doctor also. An endoscopic DCR has very good prognosis but the best surgery method for any patient is decided by the doctor only. In India, endoscopic DCR surgery is a routine procedure for Dr. Debraj Shome who performs this procedure frequently in Mumbai. At The Esthetic Clinics in Mumbai different type of Dacryocystorhinostomy surgeries are performed. Dr. Debraj Shome is the top specialist in oculoplastic surgery and in Mumbai all his patients have only words of praise for him. In India, DCR surgery has seen a change and now even the top doctors in India prefer to perform Dacryocystorhinostomy by endoscopic DCR method only. Though there are advantages of endoscopic DCR surgery but in Mumbai Dr.Shome does not treat his patients with ‘one solution fits all’ approach. Every case of Dacryocystorhinostomy that comes to him in Mumbai is unique and depending upon the case, he decides between an endoscopic DCR surgery and an external Dacryocystorhinostomy. The patients who want to get a Dacryocystorhinostomy from him in Mumbai should know that your surgery plan will be based on your condition. According to your surgery plan, a stent may or may not be fitted after your endoscopic DCR. 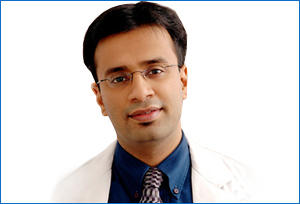 Your follow up schedule will also depend upon the type of surgery you will undergo by Dr. Shome in Mumbai. One of the top things to remember is that there should be no delay in the surgery because severe problems may be caused in the ocular area. For getting the Dacryocystorhinostomy surgery, visit Dr. Debraj Shome in Mumbai. The combination of his best skills and top facilities at his clinics in Mumbai will make your surgery a surely successful one. In India, he has been rated as one of the top oculoplastic and facial plastic surgeon because of his expertise and experience. The success of The Esthetic Clinics in Mumbai is the evidence of his extreme passion and hard work for the well being of his patients.